Design Engineering, Inc. provided complete engineering, design and construction management for the project including construction administration (bi-weekly status meetings, correspondence, plan changes, change orders, instruction from owner to contractor, cost analysis and schedule maintenance, etc. ), engineering during construction, utility coordination, reviews of shop drawings and other contract submittals, document control, resident inspection, monthly status reports to owner, coordination with testing and inspection laboratories for quality assurance, daily reports review and recommendations for pay requests and final closeout documentation. This project included 5.2 miles of scenic 4-lane roadway with all necessary utilities including sewerage, water and drainage, sidewalks and seawall stabilization along the entire length of the roadway. 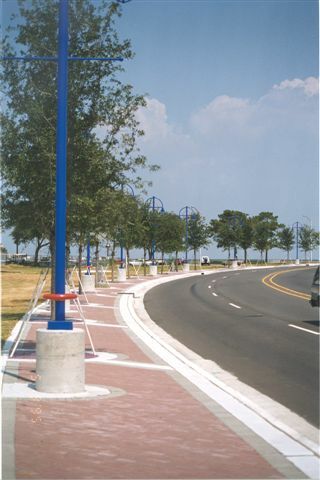 The project required the reconstruction of 3,150 feet of Lakeshore Drive roadway and adjacent parking facilities. Lakeshore Drive Improvements included subsurface drainage improvements and construction of erosion protection measures for 3,200 linear feet of existing seawall, including 325 L.F. of I-wall with a 48″ diameter drainage outfall penetration. 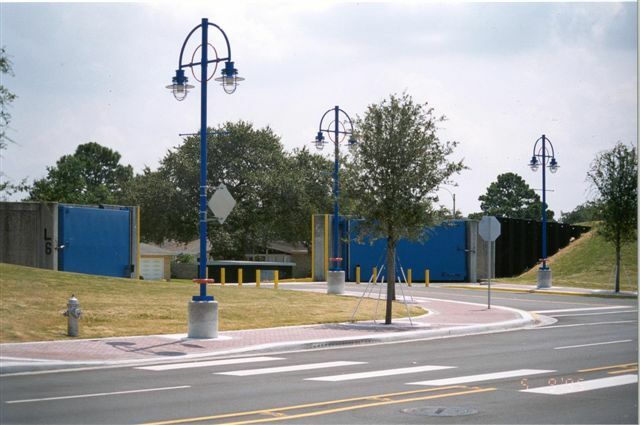 This project also included new traffic control devices relocated existing and installed new streetlights, new picnic shelters and landscaping. Two (2) concrete deck bridges supported by prestressed concrete pile bents. Thousands of feet of subsurface drainage with manholes. Seawall repair with steel sheet piling and poured in place concrete cap.